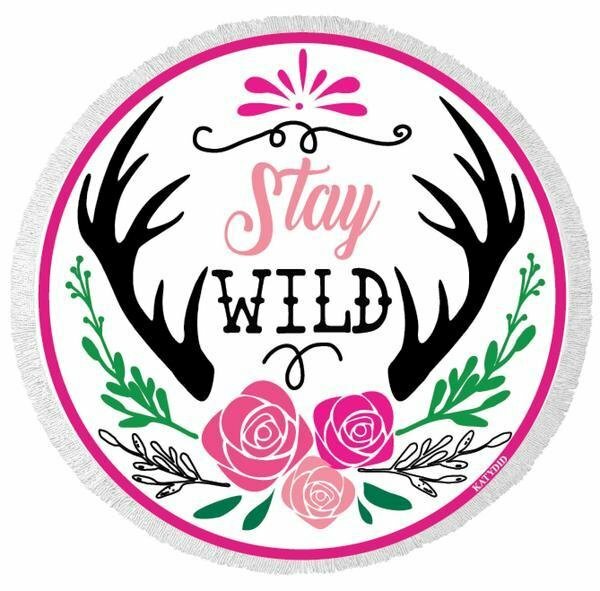 Southern charm makes this unique beach towel a hit at the beach. Lovely round beach towel measures 60 inches in diameter. Made of 100% cotton material. Designed by Katydid.